Stormy Race Report, My First 100 Miler...And Certainly Not My Last!! First and foremost thanks so much for all of the incredible support! It's really cool to log on and see so many phenomenal comments from everyone! Just five short weeks ago I was questioning my entire season of racing. I have not before faced constant adversity like I have encountered this season and it's been a great character builder that I am thankful for in hindsight. I missed all of Feb with a double calf injury, the first injury to sideline me for any amount of time. It was July, after a one month hiatus from running, before my calves were back to 100%. The back to back DNF's on the bike in June were what did me in mentally though. Two goal races and nothing but a battered body to show for it. I did not truly realize how much I had riding on this 100 miler, but I was certain of one thing...I was not going to DNF under ANY circumstances!! Stormy 2004 was my first ever ultra race. Back then the distance was 67km as it followed the exact route of The Test Of Metal Mountain Bike Race. My goals that year were a sub 7hr run time and a top twenty placing. I finished in exactly 20th with a time of 6hr53min. Just five months prior to that race I had no idea what an 'ultra run' even was, and had never run more than 21km in my life. In fact I had only run more than 10k three times in my life and can confidently say that I had run less than fifty times in my then 27 years on the planet. It's been quite the journey up to this point and Stormy 08 feels more like the true beginning of something for me rather than an ending. The race began at noon on Friday, which I was a fan of for the most part. 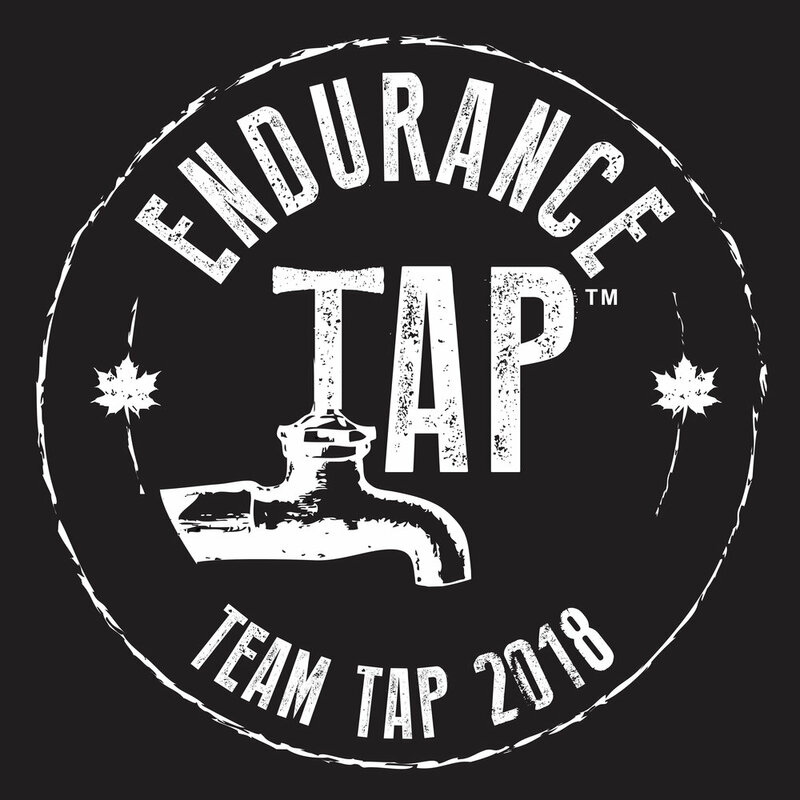 It eliminated a lot of pre race stress as I could sleep in my own bed in North Van the night before, did not need to set an alarm, and could fuel properly before the race began. Jackie and I pulled into Squamish at 11am, picked up some sushi and headed to the starting area. Thirty people lined up to try and tackle the distance and we were off and running before we knew it. A group of four runner's headed to the front. I had no intentions of running with the leaders off the start, no matter what their pace might be. I have learned time and time again that I need to ease my way into a long distance race by taking it easy for the first 30-45min at the very least, and I comfortably fell into 5th place. The first aid station on the course was 8.7km in. I had spent hours going over my pre-race plan and setting up Jackie to be my aid for the first lap. I wanted to get her into bed as soon as possible...whoa dirty minds...she was running her first ever fifty mile race the following morning, starting at 6am. In my pre-race plan I 'scheduled' myself into the first aid station in fifty minutes. I had managed to guess and pace perfectly and I switched out a bottle with Jackie in EXACTLY 50min! At this first aid station the four runner's ahead of me had all made water stops and I now found myself in the lead. I had no intention of leading from this early on, but I had also promised myself something else the night before. I was going to run MY race, and I was going to leave it ALL out there. Next up was the Alice Lake parking lot, which I hit about thirty minutes later, and proceeded to sprint straight for the bathroom. I had inclinations leading up to the start that my stomach was not going to cooperate with me fully for the 100 miler. If I did not know there was a bathroom facility awaiting me at the lake I would not have even made it an hour before stopping. "Oh yeah, I forgot you're good at this stuff!" after Aid Station Two the course goes into a very long, non technical, slightly inclined, running section as it leads out towards 'The Corners' area of the Test Of Metal course. I had only realized three weeks out that Stormy was such a runnable course, with just 13,000 feet of elevation gain over the entire 100 miles. With this in mind I switched up my last minute training to include much more cadence work on hard packed flattish terrain. I'm glad I did this for although it may not have given me a physical edge, it certainly helped my mental preparation. As we hit the 'Bob Mac' trail, about five km further, there is another outhouse available. I had been closing in on Darren for a few kms but unfortunately he had the same idea as I did and he stole my seat! I decided to put in a push at this point to distance myself from him in an attempt to sneak back into the lead, and to gain a gap before ducking into the bushes for my second bathroom break. As I upped the pace I could not believe how good I was feeling. I truly felt like I was effortlessly flying along and I made the decision to roll with it. Although I did not intend to run this section at this pace, I was certain of the fact that I would go through numerous highs and lows throughout the race. I made the decision to take advantage of this high and I went to work on knocking down some kms. I blew through 'Mike's Loop' and by the time I was on the climb leading into 'The Corner's' I made sure to get on top of my food and electrolyte intake. The formula is pretty simple on paper, but always tough to accomplish in practice. Average about one Thermolyte tablet every thirty minutes to stay on top of electrolytes, and consume 250-350 calories per hour of running. I was only a few hours into the run and my stomach was still functioning fine, at least in terms of allowing me to eat, so I knocked back a sesame snap for a 200 calorie boost and was off and running again at the top of the climb. This section is always fun to run as it is laced with bermed corners within a snake like single track that goes on for a few kms. I was able to peer over my shoulder a few times and see that I had a lengthy gap. I was finally able to make my second pit stop and was running again within ninety seconds. About ten minutes later I came into the Edith Lake aid station, 27.2km in around 2h15m. I was ahead of my planned time, but again felt great and decided to stick with what was working. After a ten second splash and go I was climbing towards one of my favorite parts of the course, 'Entrail and Marc My Word'. These trails are some of the most technical of the entire course and I was confident that I would be able to make time on the rest of the pack through this section. There is some tricky foot work over log bridges, fallen trees, steep rock faces and gnarly terrain...I loved every second of it! From there you pop out onto Mashiter. Not sure if that rings a bell with anyone, but Mashiter is the trail that I was bombing down in T.O.M. when I got cut off and stacked it hard on the down slope. I slowed my pace for a few hundred meters and surveyed the 'crash site'. I am still blown away by the fact that I got off with but a broken finger and a contused quad, for there is quite literally a fifteen foot long section of which you could effectively crash without breaking any major bones or puncturing any major arteries...I had somehow managed to fall into that fifteen feet of bush. I was very thankful for the fact that I was even able to run this race at all, as I had visions of the season ending injuries I had managed to escape a few months prior. After another fun section aptly named 'Roller Coaster' I was back at aid station number two again. I quickly said hi as I continued running past. 'Quest University', my drop bag with Jackie, and the half way point of the first lap, were but a few km off. As I approached The Uni I heard a familiar voice asking for my bib number. Mae Palm is in her 60's and still competing at Iron Man, in fact she holds numerous age group records! We'll see where I am in three decades...overweight, out of shape, watching sports all day, and telling stories about what I used to do for fun!! I hit the aid station, grabbed my bottle from Jackie, said hi to Roxy, and was off and climbing. The second largest climb of the race lay ahead. It was nothing too insane, but did go on for about 2.5-3km. It was here that my earlier pacing started to catch up with me. My body was feeling the effects of a high running pace and I was suffering from leg pain like I had not experienced before. My left leg, right at the hip and encompassing my I.T. band, my hamstring, my groin, and my abdomen, were all starting to scream at me. I refused to listen and although I did slow my pace slightly, I continued running up the hill. Thoughts of dropping out drifted into my consciousness. This section was a loop that was only listed as 3.5km, but I'm gonna say it has to be closer to at least 5k. After bombing down some of my favorite bike trails in Squamish, The Pseudo Tsuga'a, I was back at the same aid station in around 45min. I switched bottles with Jackie again and was off on a 5.3km section towards the main aid station on course at 'The Powerhouse'. Again my leg flared on me and again my mind would play tricks on me. "You're done man, you blew it. Went out too hard, gonna pay the price now. You're not going to be able to run 100 miles...you can't run for 160km...and you know this already...it's inevitable so why even fight it..."
One step at a time, one km at a time, one aid station at a time. The second you get ahead of yourself is the second you start asking for things to go wrong. No one in their right mind can fully process what it takes to run for 160km, but everyone can run for 1km, and after that you can run the five or six or seven km until the next aid station, and before you know it you're fifty km and 1/3 of the way through the race. One foot in front of the other, continuously, Relentless Forward Motion, never let your mind tell your body what it thinks your body can not do, for it is dead wrong every single time. The body is a machine, it's the mind that is weak. Train your mind and you control what your body can accomplish. The flats leading away from this aid station and into the biggest climb of the event were torturous for me. All I wanted to do was walk them, but I knew I'd be hiking a huge hill within ten minutes anyways and I managed to fight my way through until that point. As I had just come through 'The Powerhouse' aid station I was expecting to and supposed to intersect with Jackie, but I knew it would be tight for her to drive the 15km around to the aid station that I had but 5km to run to. As I continued along the flats I expected to see her at any moment...but I hit my turn away from this road before she appeared. She had all of my food and fluids for the next 21km, and I had no choice but to wait! I went about utilizing my time by stretching out my legs and thankfully she appeared in under a minute. She had her typical smile and laugh going on as she could not believe that I had beaten her here. After a quick exchange I was off on a power hike up 'Nine Mile Hill'. It is not Nine full miles from this point, closer to nine km, and with a few downhill sections thrown in. It was a nice break and exactly what my body needed. The one time I ran this race in 04 the 'Nine Mile Aid Station' was on the big bridge at the top. I had drained my fluids and was counting down the steps until my refill. I came around the last corner, and there was no one there! The distance back to 'The Powerhouse' aid station was around 10km...I started to freak out a bit, but kept my feet moving. I told myself to calm down as it would almost make sense for them to have the aid station a few hundred meters further along anyways. Sure enough, thirty seconds later and there they were. Unexpectedly the station was being maned, or should I say womaned, but Cheryl Johnson and Rhonda Schuller, two amazing locals that I have had the pleasure of meeting through the running community over the years. They both had big smiles, congrats, and even hugs to help propel me along. I wanted to stay and chat, but alas I had a goal time in my head to work towards. I remember looking at my watch and I departed at exactly 5h45m into the race, having covered somewhere around 60km...only 100 left to go! I thoroughly enjoyed the next hours downhill back to 'The Powerhouse' as I know those trails inside out. 'The Ring Creek Rip' and especially 'The Powerhouse Plunge' are some of Squamish's more famous trails. The only troublesome thing was that I could already feel that my feet were starting to swell. I had no intention of changing my socks or shoes during the race, but was almost wishing that I had packed...well owned and packed, a half size bigger shoe. I knew I'd be feeling the squeeze on the second lap. I then spotted Jackie, who was hiding right in front of me, grabbed my bottle and was gone again. "See ya at the finish babe!" I knew the route would go through 'Three Virgins' and 'Seven Stitches', but was not fully aware of the fact that we then had to tackle 'Summer's Eve'. You would think the latter to be easier than the first two, but no the last trail was a little slice of unexpected hell! Lots of power hiking, some tip toe descents and the ever wandering mind wondering when we would finish our first lap! I finally popped out into 'The Smoke Bluffs' and had but a few kms till the end of my first lap. I glanced at my watch and noticed that I was going to come in under 8hr. My initial plan was to do somewhere between an 8hr - 8hr15m lap. As I was going over this in my head, my left leg cramped and seized up instantly! I had never had a cramp come on so quickly before and was completely unprepared for it. I nearly fell over. If not for the experiences gained over the last few years of running and adventure racing I surely would have freaked out and thought my race was over. Just one year prior while running The West Coast and Juan De Fuca Trails back to back I had a very similar occurrence just 45km into that 130km run. I DID start freaking out then, and was sure my attempt to run those trails had come crashing down around me, however I was able to recover from it and still finish that adventure run strong, attaining my goals for that run in the process. I simply did the same here, took it down a notch, walked it off, and was able to run the final seven hundred meters to complete my first fifty mile lap. I crossed the line in exactly 7hr53min03sec. I could see the look on people's faces. Outside of their excitement and support, pretty much everyone was thinking I had gone out WAY too hard on my first lap. I concentrated on getting out of there as quickly as possible, and after changing my shirt and shorts, downing 1/2 of an avocado sushi roll, and chugging almost a liter of flat Coke, I was off and running again in under five minutes. I departed for my second lap in 7hr58m, and was determined to prove that I knew exactly what I was doing...even if I didn't really have a clue as to what I was doing at all! !